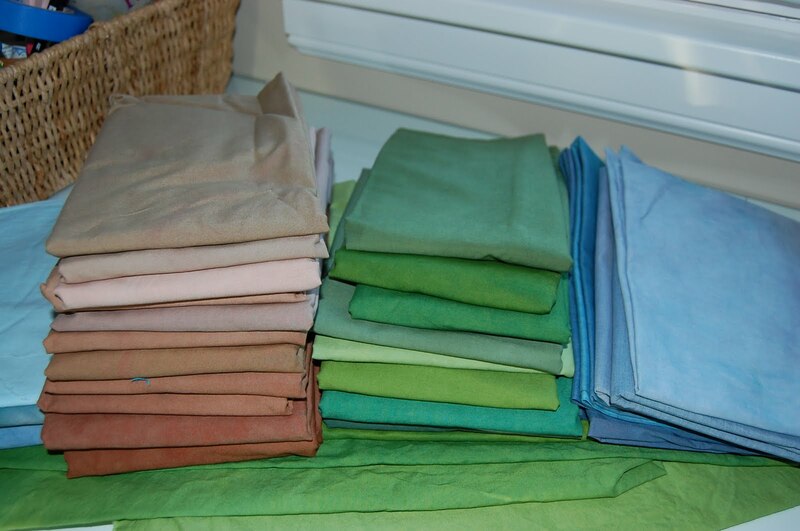 I was dyeing fabrics on Friday and the word that came to mind was Earth. These are just the colors of the earth and I do like them. I had a hard time with green and realized a fundamental dyeing principle -duh?-that I should of thought of eons ago. Different bases give you different results. And no matter how much blue I added, I didn’t have the right yellow to get a deep forest green. You have to give it to me on persistence. Ten pieces of fabric later, I finally gave up and will just go with what I have. Also, overdyed the browns and they turned out nicely. The month of May is very busy. I realized I am gone for more than 12 days this month-classes, wedding, soccer tournament. Three workshops this month-I take full responsibility for making my schedule crazy. Just fair warning if my posts are not as often as usual. 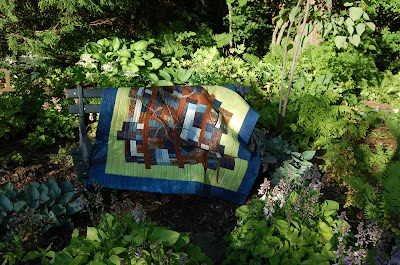 I am taking Sets and Variables at the Barn next week, a two day workshop with Velda Newman sponsored by our quilt guild and an on-line class titled cloth-to cloth workshop given by Jude Hill which runs for 5 weeks. What am I doing with this wide range of classes? I don’t know yet but I am hoping that it’s not mud. You know when you mix up a whole bunch of colors and hope for that one glorious result-but it turns into mud…. They just all were offered this month and I couldn’t pass it up. The commission piece was approved by it’s new owner last week. I now have to sew the design together. She loved it-and that’s all that counts! 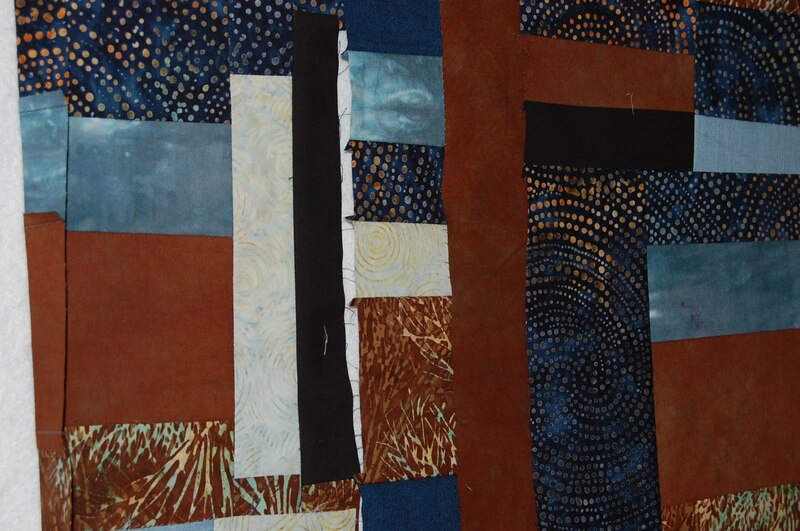 A sneak peek…. 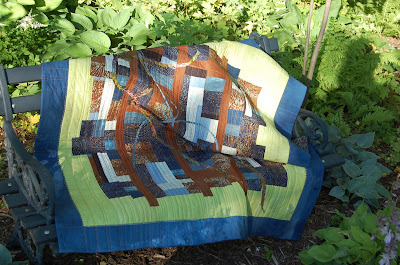 This entry was posted in commissions, fabric dyeing on May 6, 2010 by Colleen Kole.